The BEAUTY OF ELEGANCE LIES WITHIN EVERY WOMAN,FASHION ONLY ENHANCES WHAT SHE IS BLESSED WITH THE FRAGRANCE OF GOD CREATES HER ESSENCE AND SHE BECOMES THE QUEEN SHE INTENDED TO BE! 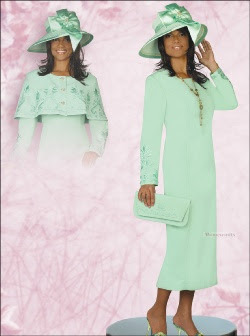 Suzanne E. Uzzell, Entrepreneur, Author, Singer and Preacher created Godly Queen Elegant Fashion. She Created this site to sell various fashions and share with other woman from all walks of life. She loves creativity, essence, style, elegance, and fashion. Enjoy Shopping from various styles purchase, Dresses, Suits, Purses and so much more! Suzanne E. Uzzell is a Entrepreneur who created Godly Queen Elegant Fashion, she wanted to create a shopping fashion business page that will market to ladies from all walks of life. The saying Dress for Success comes to mind regardless of whatever function you attend all these fasions will always capture the elegance of the Queen, whether you wear a suit, hat, dress or purse from Womensuit you will always be noticed! Walk with the spirit of excellence, stride to impress with the way you dress and watch doors open as you smile and the essence of your heart is shown by the spirit that comes from within. The dress of elegance only represents what you already posess! Enjoy shopping for that Special moment,Church Service, Business Meeting, Graduation, Birthday, Weddings, Womans Social,Conventions,Business Trips, Banquets whatever the occasion Womensuits is the place to shop. Suzanne E. Uzzell 37yrs old Native New Yorker attended Herbert H. Lehman College and graduated with a B.A. in 2001. Suzanne is also an Ordained Evangelist began preaching at age 26 in New York and continues to preach the Gospel she also sang in choirs and lead on praise & worship teams at various churches. 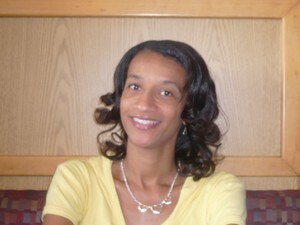 Suzanne is the Author of a new book Words 2 Ignite the Soul & first book written book Chosen Words self published on lulu.com. She hopes to inspire and captivate her audience. Suzanne is grateful and thanks God for allowing her to complete this endeavor. Suzanne is also an Entreprenuer who enjoys creating gifts and things she would love to continue creating more business opportunities in the near future. She is married to Husband Ssgt Jahi J. Uzzell who serves in the United States Air Force. She is an Air force Spouse who currently resides in Brunssum Netherlands . She relocates every 3 to 4 years and enjoys living in new places. Author Suzanne E. Uzzell Chosen Words Poem Let There Be Peace is FEATURED in P.E.A.S. Magazine 12th Edition -A SPECIAL THANKS TO Denise Bethune!